Cymbals Eat Guitars have intrigued me since the first time I heard their epic “…And The Hazy Sea” way back in 2009. A mix of shoegaze-y guitar noise and early 90s indie rock aesthetic that showed they weren’t afraid to wear their influences on their sleeves while still sounding decidedly unique. While their debut Why There Are Mountains was a great start it still had moments of chin scratching and inquisitive looks. Potential oozed, but some honing still needed done. 2011s Lenses Alien felt tighter and songwriter/singer/guitarist Joseph D’agostino seemed like he had a vision for the band’s sound. While not necessarily gaining new ground he had definitely began perfecting the Cymbals Eat Guitars sound. Three years later D’agostino and co have delivered their masterpiece in Lose. In under 45 minutes Cymbals Eat Guitars have solidified a sound born on a self-released album just five years ago. Emotional, angry, dreamy, atmospheric, and spatial are just a few words that describe Lose. Much has been discussed regarding the death of a childhood friend and the affect it had on D’agostino and how it shaped the songs on Lose. I won’t discuss that aspect of the songs because I think it’s insignificant in looking at the album. Regardless of where these songs came from inside D’agostino, what we hear on record is the result of an influence and not the influence itself. Simply put, judge the songs and not what influenced them. Regardless of these songs being influenced by a tragedy they could still have turned out like crap. Fortunately that’s not the case here. Opener “Jackson” appears through the clouds with a dreamy Wurlitzer organ and celestial glimmers of guitar and vocals before blowing up into that signature Cymbals Eat Guitars sound. “You’re taking two Klonopin/ So you can quit flipping/And face our friends/You dated the sainted dead/He ain’t nothing but a prayer card”, D’agostino sings in bated breath before anger takes over in his voice. There’s enough reality in the words to make it seem relatable, while still keeping it a little on the existential side. “Warning” is a rocker with some great guitar, while “XR” sounds like a punk rock Irish wake. “Child Bride” is a beautiful track that floats along acoutic and jangly electric as the ever present Wurly keeps the track in dreamy territory. I have to make mention once again of the Wurlitzer here as I feel this is the band’s secret weapon. I feel it adds an element to the sound that other bands would over emphasize and ruin its magic. But with CEG they use it just enough to put their sound on a whole other level. With the addition of strings on this track the song becomes absolutely stunning. Then there’s “Laramie”, the epic centerpiece of Lose. It morphs from otherworldly and almost extraterrestrial-sounding to completely rocking back to otherworldly. The guitars whisp and morph with what sounds like the use of a Whammy pedal(great use of one by the way.) It’s truly a batsh*t track that words can barely do justice in describing it. “Chambers” comes from out of nowhere like some long lost Eddie Money track from 1987. If that description scares you, I implore you to give it a shot. It’s genius, really. “Lifenet” sounds like a cross between The Pixies and Bruce Springsteen. It’s a song only an East Coast band brought up on the Boss, 90s indie rock, and the Feelies could write. 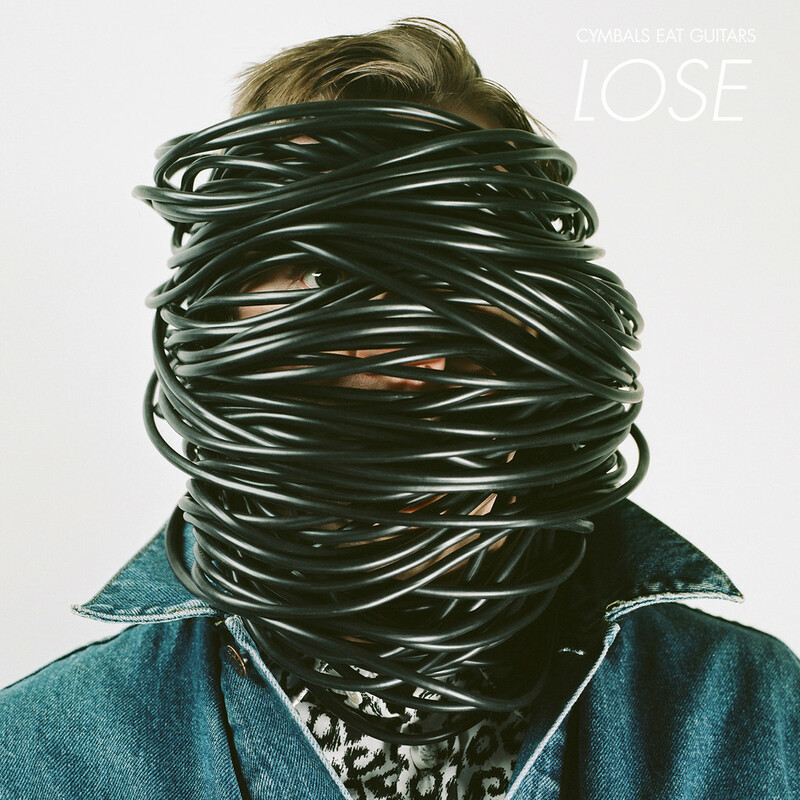 If you were ever on the fence about Cymbals Eat Guitars, Lose will be the album to kick your posterior right into their line of sight. It’s a compact masterpiece that only gets better with each listen. One of the best of the year. Thanks for this. I’d been on the fence on whether to bother checking this one out. I’ve always thought these guys had potential, I just hadn’t heard it realized yet. Perhaps this is the one. You should definitely check this out. I think it’s damn near perfect. Right amount of pop and navel gazing, all mixed with some great guitar. I checked out ‘Chambers’ and really liked it. Great song. If you can find “Laramie” somewhere you should give it a listen.